The mermaid legend has always captivated the imagination of land dwellers. Throughout the ages, many have tried and failed to catch a glimpse of these ethereal creatures gliding through the deep. If only they'd have thought to check out Dulwich College Sports Club. 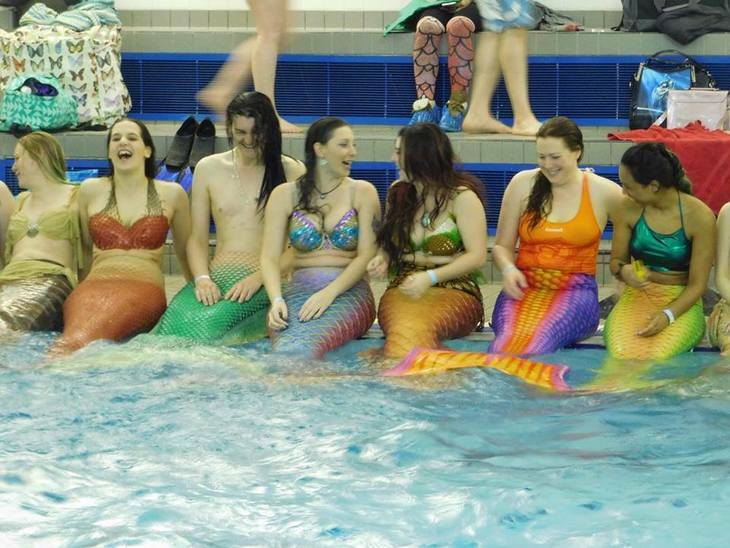 For here, a shoal of real life merpeople have gathered for the first ever Merfolk UK convention. Stepping through the automatic doors, we enter the unchartered waters of the mer-world. A subcultural group, merfolk are people who have turned fantasy into reality by donning tails and heading for the water. The mer-sphere also extends to the shore with a thriving industry of tail crafters, mermaid party planners and mer-themed trinket makers. What's more, mer-mania is growing. 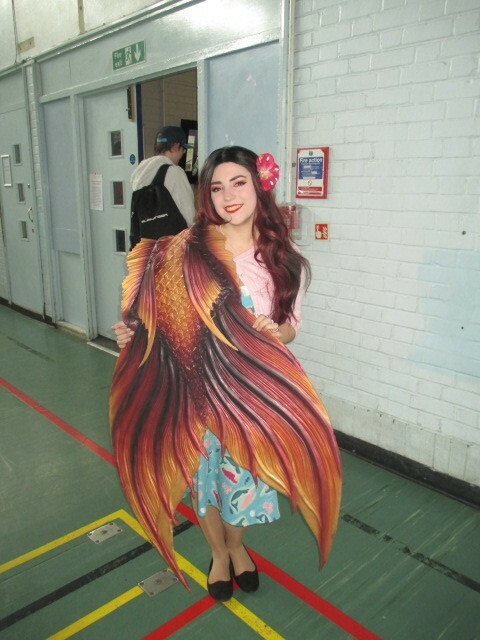 Says convention organiser and Merfolk UK founder Jessica Pennington. "I've been obsessed with mermaids since seeing Disney's Little Mermaid at about two. But it wasn't until I went on a free diving course that I realised I wasn't alone. "There are loads of forums and Facebook groups, but none of them knew about each other. It's also really difficult to find pools that will allow you to swim in a tail. 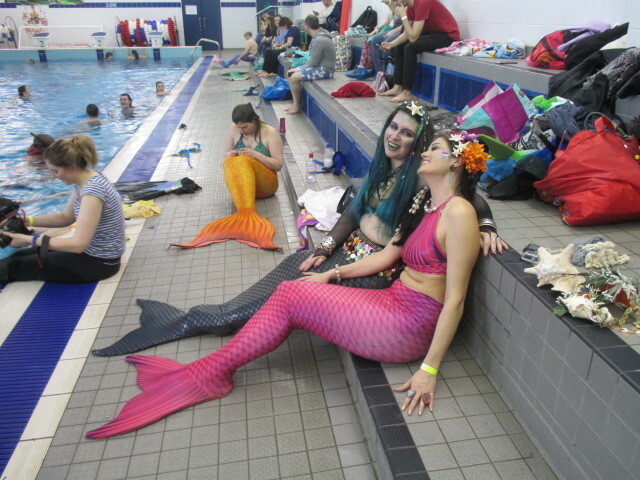 So I decided to found Merfolk UK and organise a big meet to bring everyone from the community together." A quick peek poolside shows that Jessica's plan has paid off, as we're transported to the lost city of Atlantis. A flurry of tails and flowing tresses stream through the water amidst chattering merfolk stretching their fins and adjusting their crowns. The tails range from brightly coloured fabric sheaths shimmering with sequins to handmade silicon creations. One mermaid sails past in a stunning butterfly design, while a merman keeps it macho in grey and white camouflage. As well as requiring much tugging and liberal applications of coconut oil, transforming into a merperson can be an expensive pursuit. Silicon tails cost upwards of £1,500 and are mostly ordered from America. But the UK market is growing and one tail artisan is London-based Siki Red Fins; he's sporting one of his own creations. A fantasy artist and sculptor, Siki Red carves each individual scale by hand, specialising in realistic fish tails. "It’s just such a feeling of freedom and happiness," says Siki Red about being a merman, "some people drink, some people smoke and some people mermaid." This sense of escapism is a common lure for the mer-minded, many of who see it as a release from office work or retail work. Synchronised swimmer and blue tailed mermaid Caz Galloway explains "It's essentially a form of cosplay; the idea of transforming into a character who inhabits a totally separate and mythological world." The mystical factor is key for some merfolk, with several subscribers to ancient faiths such as Paganism or Duat. Some find being at one with the water a form of meditation as the very sparkly mermaid Stephanie Faulkner adds, "There is a moment when you're swimming and you've got the sound of water in your ears and there's nothing else. It's a sense of absolute clarity and mindfulness." While most merfolk don fins in their spare time, there are those who have abandoned terra firma and made career. 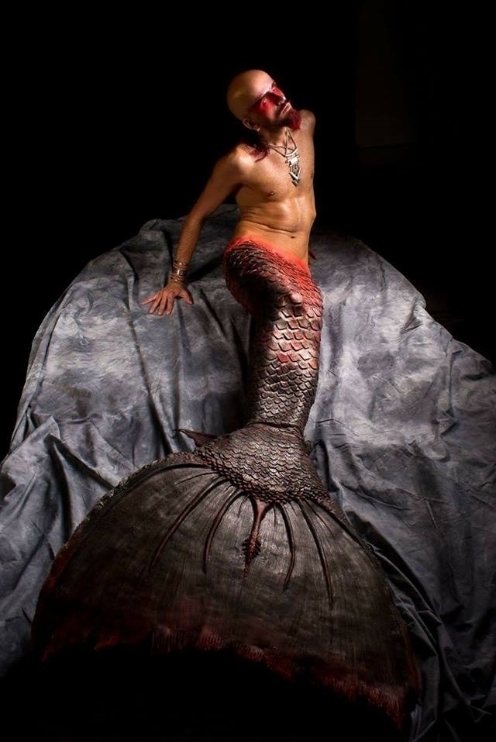 One such person is Mermaid Aura Belle, who regularly performs as part of London events company The English Mermaids. Having worked in security for a decade, Aura Belle now appears be-tailed at regional Comicons and pirate festivals across the country. "Being a mermaid celebrates the female form; beauty, strength and femininity," says Aura Belle, who performs and sings as a mermaid, "I love that mermaids can be good omens whilst still having the darker side; sensual allure yet deadly." She kindly poses for a photo before sliding gracefully beneath the water. These seasoned merfolk make it look easy, but tailing up without breathing apparatus is a consummate skill. Luckily, mer-curious Londoners can gain a mermaid certificate at Blue Water Free Diving School. As competitive free diver Adam Drzazga explains, most free divers use a monofin which is essentially a giant two footed flipper. "My partner and co-founder of the school, Shirley Turner is a mermaid and we realised that it's the same technique as diving with a monofin. The main key is relaxation as well as adaptation, because it's overcoming the natural instinct to breathe and kick your legs." As a trained expert, Adam can hold his breath for over seven minutes, but he insists that anyone can learn to free dive. "We've taught people from six to 72; age and physical shape are really not important once you've learnt the techniques." There's certainly merfolk of every age and size splashing up a storm in London today. Socially diverse, the community encompasses every aspect of modern culture, including music, art and even a British mermaid pageant called Miss Mermaid UK. 2016's crowned queen, Mermaid Grace will be directing this year's pageant, alongside her numerous bookings from her company Hire a Mermaid UK. A qualified free diver, Grace mermaids up at underwater photo shoots, children's parties and her favourite aquarium shows. 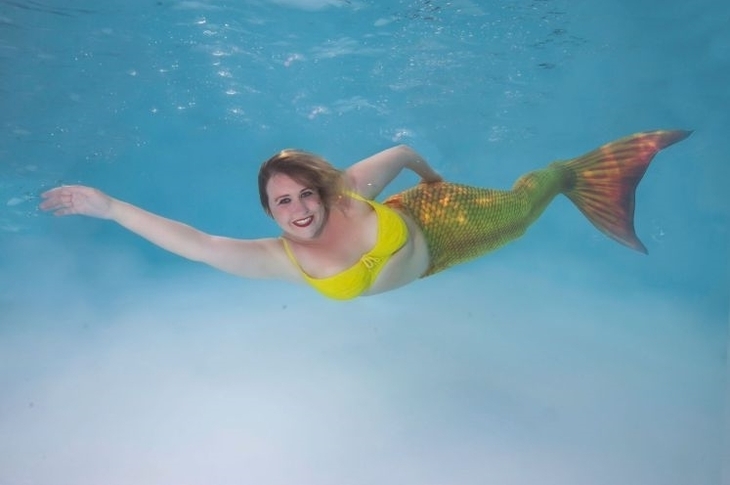 "I also do corporate events, when people want to show off some money and have a mermaid swimming in a pool; that happens quite a lot," she laughs, "I really enjoy doing environmental events at schools, because what better way to teach children about preserving our oceans than having a mermaid there." These merfolk are awash with body confidence and bringing a bit of magic into the everyday. Most importantly, everyone is welcome. 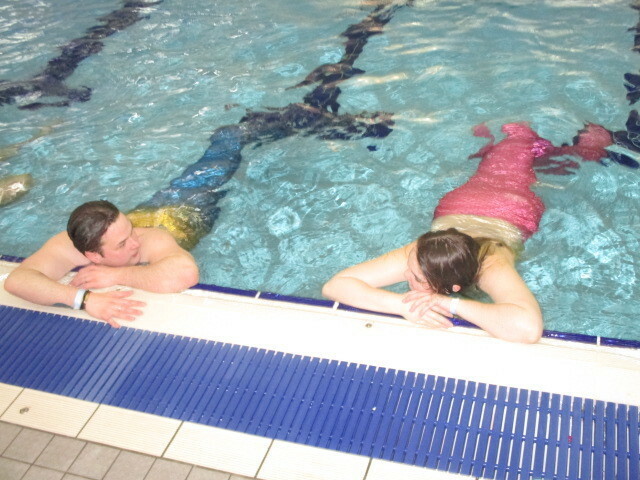 As Jessica points out, "There are so many people fascinated by mermaids but don't realise this lifestyle is out there. I really hope that the convention will strengthen the community and make it more mainstream so more pools will accept tails. We're here, we're growing and we're determined to make a splash!"